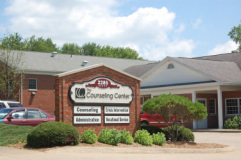 The Counseling Center's emergency response team provides crisis intervention, pre-hospital screening, and community consultation 24 hours a day, seven days a week. If you are in crisis please contact us, immediately. During office hours, contact the main office at (330) 264-9029. After office hours, emergency staff may be contacted through 911, social service agencies, law enforcement and medical personnel or by calling any of the center's regular office numbers. For more information about our Crisis Intervention services.